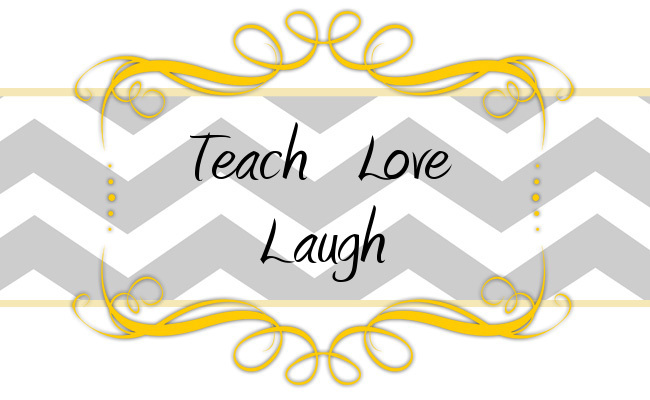 Teach Love Laugh: Happy Weekend and An Inflectional Endings Freebie...Whew! 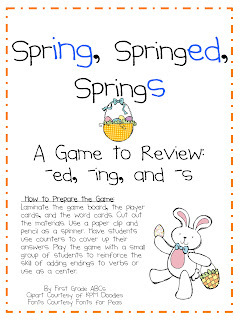 Happy Weekend and An Inflectional Endings Freebie...Whew! Wow, I can't believe Saturday is practically over. Can I just say that Spring Break needs to be here! Only 5 more days. I can make it, right?! I was so jealous when most of you wonderful girls were having Spring Break, but now that it is actually Spring here in lovely Utah, I think the timing is just right! 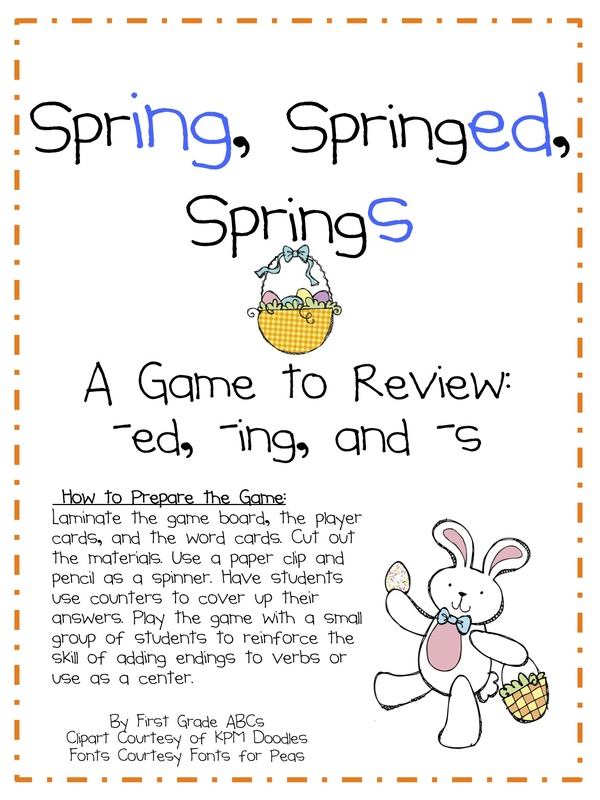 I made this quick game on Thursday night for my kiddos to play and review inflectional endings. Then I thought I would clipart it up a bit and make it more Spring-y (if that's a word?) for centers this next week. My students loved playing the game. It was super cute to hear some of my stellar students not only adding the right inflectional ending to the verb, but then use the new word in a sentence. Can I just say that my kiddos make me smile so much!? Oh, and here is the freebie part. All you have to do is follow our TpT store here and leave a comment on our TpT site with your email address, then I will gleefully (yes, gleefully) email you the game! Fabulous, right?! I hope you all are having a wonderful weekend and fingers crossed I keep my Spring fever in check for one last week! Looks cute! I am now following your TpT store! That does sound fabulous! I'm now following your TPT store, but how do I leave a comment there? If you could let me know that would be great. And I'm with you on keeping spring fever in check. I've got one more week to go too. I now follow your TPT:) My spring break isn't for another 2weeks:( I'm hangin in there! We love your blog and would like to give you the Lovely Blog Award. Please come by our blog to pick it up! I already happily follow your TpT store! Thanks for the freebie. It looks really cute! I already follow your tpt store. Hi, is this still available? The link is not leading to the tpt store. Thank you!